Like many people, I had grown accustomed to buying window cleaner to clean windows in our home. Usually window cleaner is dyed a bright, unnatural blue color and has a strong odor. I started to question using an artificial cleaner in my home especially after we got our rescue dog Lulu. I decided I would learn how to make homemade window cleaner as a greener alternative. If you are tired of the strong smell of window cleaner every time you decided to clean your home or want to switch to green, affordable products – consider making your own window cleaner using my instructions in today’s blog post. This homemade, all-natural alternative works well and I have been using the recipe for several years now. Why All Natural Window Cleaner? There are a lot of window cleaners available but why make a natural cleaner? First, many window cleaners contain ammonia which is pungent smelling, alkaline cleaning fluid. My homemade window cleaner spray is ammonia free. Ammonia can also confuse pets and the smell if spilled on the ground for example, can cause dogs to want to mark an area. I did not want any of that! As a small business owner I not only live in but also work in my home. I spend a lot of time here and want to feel like I’m in a healthy place. In order to keep the home healthy it’s important for me to try to remain as chemical-free as possible. 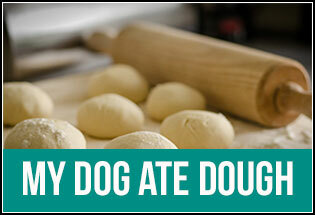 This recipe is so simple, it will take you longer to read the instructions than to make it. 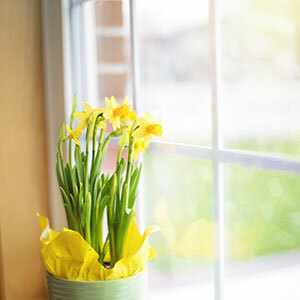 Spring is coming, make sure you can see out your windows by making this homemade window cleaner. There are a few ingredients you will need to make the window cleaner and to learn how to clean windows with vinegar. If you are reusing an old window spray bottle, first, be sure to clean the bottle. 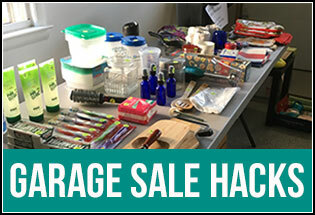 Alternatively, you can purchase a spray bottle to use for your homemade window spray. If the bottle is 16 ounces you will base the ingredients on the size of the bottle. 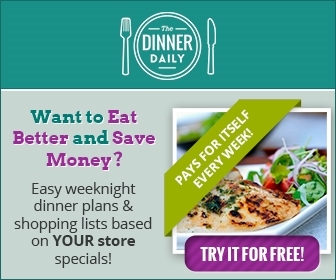 You will need two parts of water for every one part of vinegar so for a 16-ounce bottle this would be approximately 10 ounces of water and 5 ounces of white vinegar. Please note: Regular kitchen vinegar works you do not need a stronger or special vinegar for this window cleaner. You can pour the liquid directly into the spray bottle, or if it makes it easier, to reduce spills use a small funnel to pour the ingredients into the bottle. 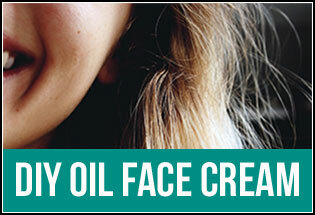 Next, add a splash of either rubbing alcohol or witch hazel. I typically use whatever I have in the house already. I almost always have witch hazel because I use it for my homemade makeup remover pads. Lastly, add 1 Tablespoon of corn starch to the bottle. When you are ready to use the cleaner to clean your windows, the trick is to always give the bottle a shake. The corn starch tends to settle at the bottom of the bottle so shaking the bottle before use will recombine the mixture prior to use. Usually I use the cleaner with paper towels, although I would like to find a more green solution long-term than paper towels. However, I have also heard very good reviews about cleaning windows with vinegar and newspaper, using newspaper to wipe windows and have them remain streak-free Another option would be to use washable paper towels or rags. With using the paper towels I have not had any streaking issues. This homemade window cleaner also doesn’t have a strong smell which is really nice, whereas, most commercial cleaners smell very strongly. 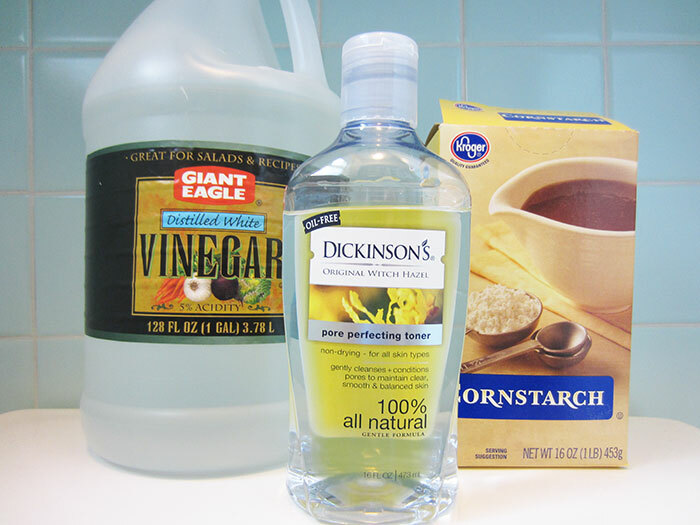 The corn starch and the rubbing alcohol or witch hazel in this cleaner help to make it streak-free. Store the window cleaner in a cool dry place such as your cleaning cupboard or pantry. 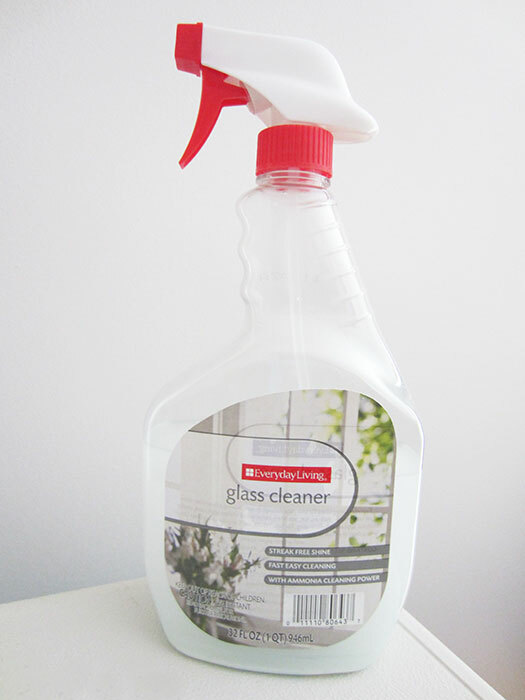 Label the bottle if desired so you remember which cleaner it is, especially if you purchased a new bottle for your homemade window cleaner. What’s nice about this cleaner is even if it were to spill or leak there are no strong chemicals in the cleaner, it’s quite natural compared to commercial cleaners. This cleaner stores well for a very long time. Typically I try to clean all of the windows in our home every fall and every spring. Frankly this is quite the feat now that I’m a mom! After learning how to make glass cleaner, actually used and kept the same bottle of cleaner for several years for this reason. There was so much cleaner in my 16-ounce bottle that it was hard to use it up! 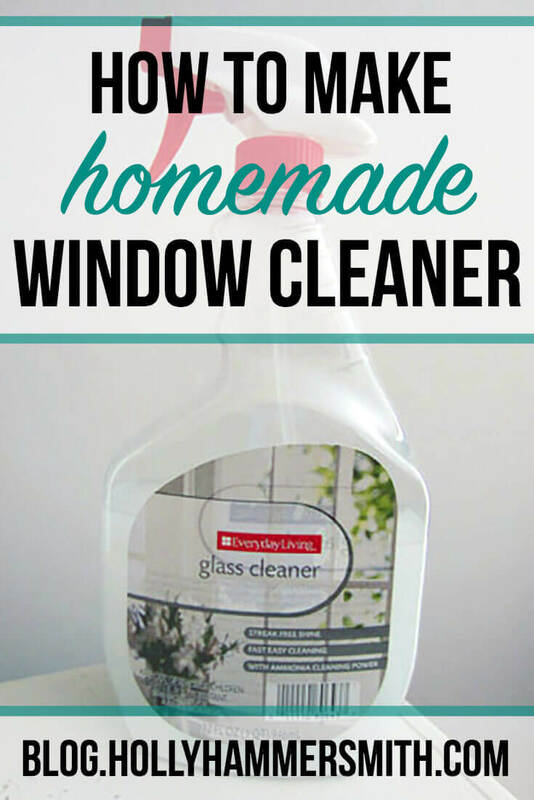 This homemade window cleaner is easy to make. 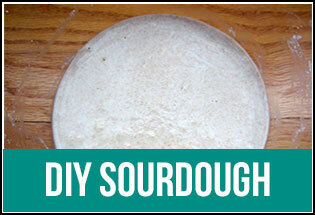 It only contains a few ingredients, most of which you probably already have in your home. The cleaner keeps well and lasts a long time. Just give it a little shake before each use. Most importantly, the cleaner works. I do not have window streaking and if a window is especially dirty I simply spray and wipe the window twice. By using this all-natural window cleaner you can avoid the use of chemical and other unnatural ingredients in your cleaning routine. This is important not just for adults but also for households where children and pets reside. 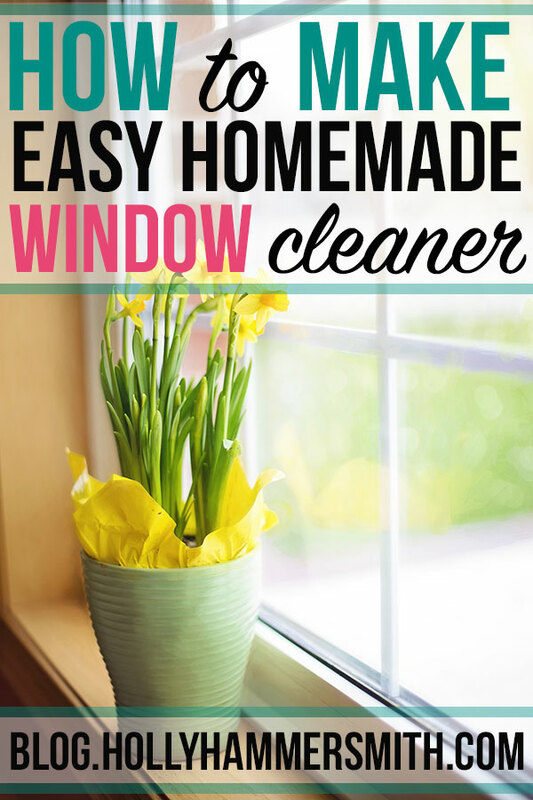 Also, you can save money by making your own window cleaner as the ingredients are not expensive. We’ve been using a mixture of vinegar and water, and I love it, because I feel safe letting my kids help. How does the witch hazel and cornstarch make a difference? 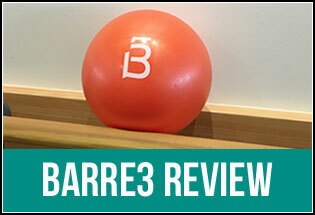 Great to find you via the BYB Challenge! They are supposed to help reduce streaking. Thanks for stopping by! I use the same cleaning trick! You can also use BAKING SODA on tough surface stains :). What can be more simple than that? 🙂 I love green cleaning solutions! Hi Holly – Does a preservative need to be added since this is water based? I make a lot of bath scrubs and room sprays because I have been into essential oils for years and know that unless it will be used up in 2 weeks, something like polysorbate-80 needs to be added. I have never made my own cleaning products though! I may in the future though as I have a lot of oils that are useful for cleaning. Thanks. Hi Christine, I did not add any preservative. I used distilled water and the cleaner actually lasted more than a year for me no problem. I suppose you could add a drop or two of tea tree oil to the mixture if you want, to help preserve it but I have not tested this. This is a great idea! We’ve been trying to cut back on chemical cleaners so this one looks much cheaper and safer! 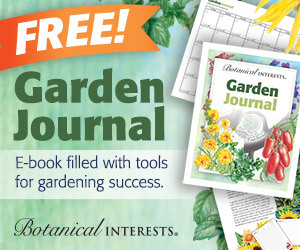 Love this I have most of these products in my home already. Great! I always want to go the natural route, but I HATE the streaks 🙂 Can’t wait to try! Oooooooh this is a great idea. Can’t wait to try it out. Thanks for this! I just ran out of window cleaner and wanted to try something new without unnatural dyes and harsh chemicals. I heard about using vinegar but the cornstarch is an interesting addition. Will have to try it! 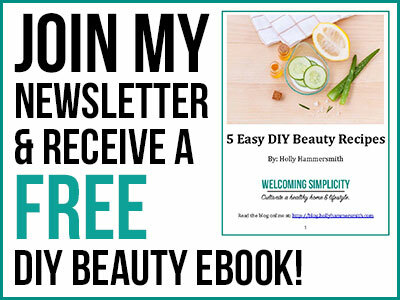 I’m always looking for ways to detoxify my daily routines! thanks for this suggestion!